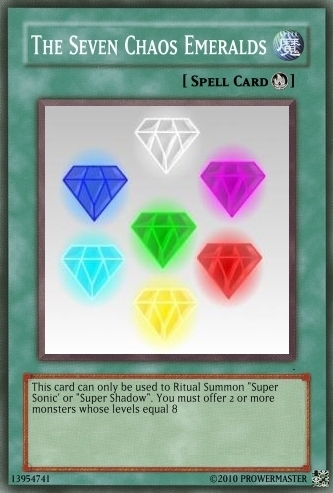 A "Chaos Emeralds" yugioh card. A another created yugioh card. Forgot to add super silver in the card, Sorry. Wallpaper and background images in the Sonic the Hedgehog club tagged: chaos emeralds. were are super shadow and shadow?